Wait, it’s already Friday? We totally understand the confusion because of the long weekend, but yes folks, it’s already Friday and you all know what that means…. indeed, almost weekend. So we lined up some things for you so you can decided what you are going to do during your weekend. This weekend will be the last weekend you can enjoy the Asian Illumination Summer Night Market located at 12631 Vulcan Way in Richmond. The night market is open from 7 pm until 12 am and on Sunday until 11 pm. There are a lot of vendors selling a lot of different things from plastic phone cases to all kinds of tasty Asian foods like for example bubble teas, curly potato chips on a stick and friend octopus. Most evenings at the market there is live entertainment from local amateur bands, singers, dancers and much more. And if you like sports well go support our Vancouver Whitecaps then on Saturday during their match against Real Salt Lake at BC Place Stadium. The game starts at 7:00 pm and tickets are on sale via the website of the Whitecaps. On Sunday we want to take you all to the Vancouver Street Food Festival. There will be a lot of Food Trucks and live music of The Pop Junkies. The event starts at 12:00 pm until 6:00 pm. So hopefully we will see you all on Sunday and we hope that you will have an amazing weekend. Last weekend we went to the Richmond Night Market! It was so much fun with all of you! Thank you for coming! The Richmond Night Market is the biggest night market in North America and it has over 500 food choices from around the world. There are also live performances, over 200 retail stalls and carnival games. It is also really close to the Bridgeport skytrain station, which makes it easy to access the market. We all met at the skytrain station and walked to the market together. When we got there we had two options. The first one was to stand in line for 45 minutes and the second one was to get one ticket for 7 people and then we could skip the line. We were with 10 people so we had to get 4 more random people from the crowd to get 2 of them. This worked after asking a few people, so we luckily did not have to wait in line. When we finally got inside we started walking to the food stands as everyone got a little hungry. There was so much choice and everybody ate something and some even tried some special treats, like deep fried mars bars, Doritos deep fried mozzarella sticks and drinks in lightbulbs as glasses. There was a lot of food that you always see on Facebook or Instagram, which was also really cool to see. After eating lots of food we strolled around the retail stands and the carnival games. 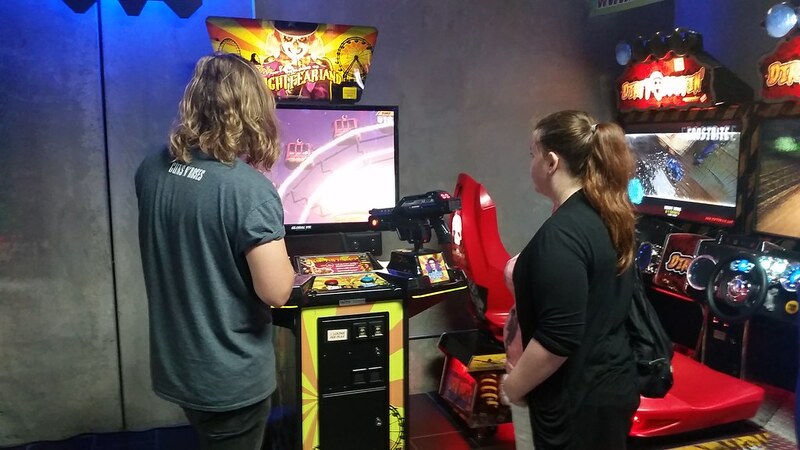 It was so much fun to see people play the games and some of us tried out the mechanical bull. I had lots of fun with you guys! I hope to see you guys on PuB NiGHT! Tonight INTERNeX will go to the Richmond Night Market close to Bridgeport S tation. This is the biggest night market in North America and it has over 500 food choices from all around the world, so you can definitely fill your tummies here! There are also live performances, over two hundred retail stalls and several games, so if you have nothing planned yet for tonight, you are welcome to join us. Unfortunately we don’t have as great weather as last weekend, so I came up with some ideas for you to do this weekend where you don’t really need to stroll in the rain for or is still okay to do with an umbrella. The Champions League Final is tomorrow and the Manchester Pub is broadcasting it! The duel starts at 11.45 AM Vancouver time, so if you are a real soccer fan and want to see the match between Juventus and Real Madrid go to the Manchester Pub on 1941 West Broadway. Besides this match, the Vancouver Whitecaps are also playing, so if you want to enjoy a more local match, definitely check this one out! Besides the Richmond Night Market there are some other markets this weekend as well. The Eastside Flea is happening again this weekend, which is worth visiting. On Sunday there is the StreetFood Vancouver Festival at 88 Pacific Blvd. Fraser Valley Food Truck Festival and Memory Laine Events host the event. It has 22 Vancouver Food Trucks, an artisan market, live music and more entertainment for the entire family. And the good thing about this market is that there is no entrance fee. I hope you all have a great weekend ahead of you and I hope to see you tonight in Richmond! It is almost time for the weekend, so it is time to figure out what to do on the weekend. We have a few suggestions for you that you might want to check out before you make any plans! 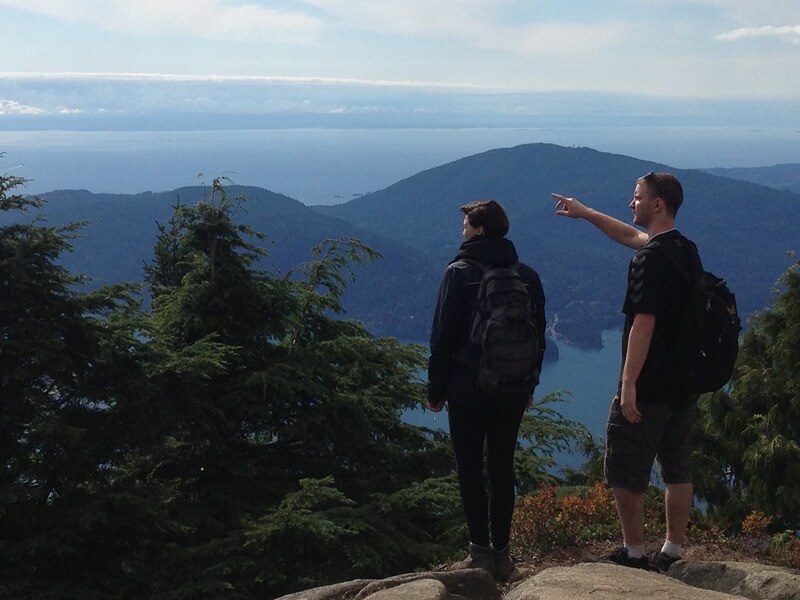 On Sunday we are planning on going to Bowen Island with the INTERNeX family. Bowen Island is a small island between Vancouver Island and Vancouver. Therefore, we are going by ferry to this awesome destination, which is going to be already an adventure itself. Once there you get the choice to do a hike, explore the island by scooter, do kayaking or to do stand-up paddling. You are still able to join if you would like to explore this island with us. If you want to know more about the event then check out our Facebook page and the blogpost. If you still don’t have something planned for Saturday, we might be able to help you out with that. This weekend is the second weekend that Playland is open, so it is time to go onto all the rides and to let the adrenaline kick in. For only $36 you can get a day ticket and ride almost all rides. If you buy it online you will even save $3. When you are more into culture, Fort Langley might be the perfect place for you! Fort Langley is a small and old village only a few hours from Vancouver. While walking around in this village, you will discover all the wonders from the 19th century. If Fort Langley is a bit too far away, then you can choose to go to Gulf of Georgia Cannery in Steveston village. During your visit in Gulf of Georgia Cannery, you will learn about the history of the West Coast fishing industry. Both historic sites are free this year, so it is the time to explore and get to know British Columbia. If you would rather experience culture by trying out different food, then you should definitely go to the Illumination Summer Night market. This market is held every weekend from May till September. There are over 200 different food and merchandise stands, so there is enough entertainment for the whole night. This year will also be the first year that it is together with a huge light show. The entrance fee is only $3, so it is definitely worth trying out. See you at Bowen island or at next PuB NiGHT! There was quite a lot going on these past few days. First, we had to say goodbye to one of our most awesome PR Coordinators Natasja. We met up at Waterfront Station and accompanied her to the airport. There we had some breakfast and then it was already time to send her off! There were lots of hugs and couple of tears. Eventually, we managed to let her go back to the Netherlands though. But we will definitely meet again! Sunday many of us went hiking up Black Mountain. It was an event planned and organized by Chris one of our INTERNeXers. It was pretty exhausting! And I’m sure some didn’t quite expect what hiking really means in Canada since it was their first time trying it after arriving in Vancouver. Regarding the weather it was extremely cloudy at first but luckily the sun came out when we reached the summit and were rewarded by an incredible view at Eagle Bluffs. It was a long weekend! So, naturally we also had to do something on Labor Day. We would have been bored otherwise. 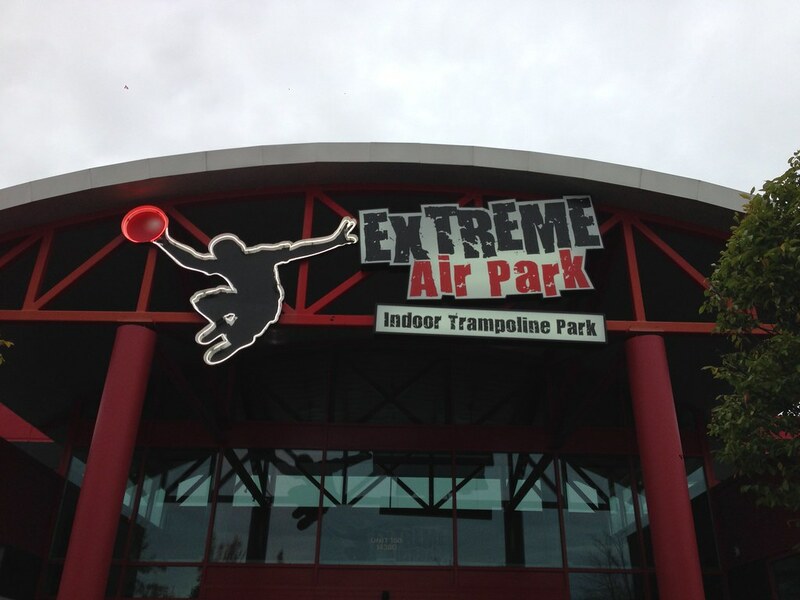 In that case, what better place to go than the Extreme Air Park in Richmond? We signed up for 2 hours of jumping fun. However, we quickly realized this is super exhausting as well! Either way we constantly alternated between recklessly jumping into the Foam Pit while trying to do cool flips, doing dunks in the Zero Gravity Basketball area and playing 3-D Dodgeball. We had an insane amount of fun! What did everyone else do on the weekend? Ever wondered how it would be like to change places with one of those video game characters in first-person shooters? Well then, join us for Laser Tag tomorrow! 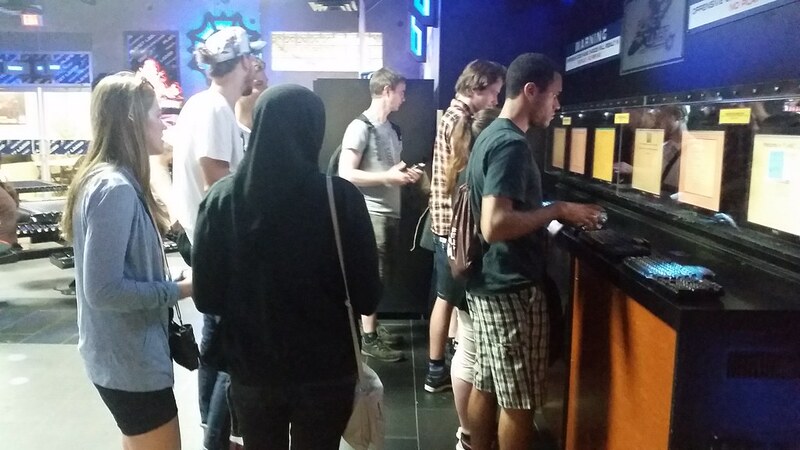 Instead of going to a bar we’ll be playing Laser Tag at Planet Lazer in Richmond. 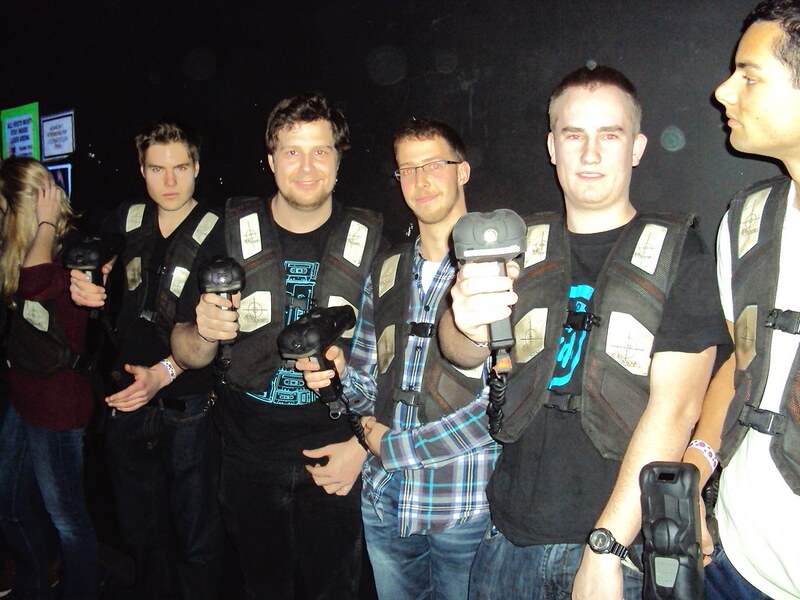 Their arena has 3 levels with a total of 16,000 square feet making it the largest Laser Tag arena in all of North America. It has even won several awards for best designed and best interactive arena. We’ll be meeting at 6.30pm this Wednesday, August 19th in front of Waterfront Station. From there we’ll take the SkyTrain down to Richmond Bridgeport Station and take Bus 401 or 403 (depending which one we’ll get) to Planet Lazer. The arena has weekly specials and Wednesday is the pay-one-get-one-free day. That means we can play 2 games for 9$. Every game is 20 minutes long but be warned it can get quite exhausting. Still we’ll try to get in 4 games, so make sure to wear comfortable clothing. Closed shoes and a T-Shirt would be best (no tank tops!) and bring something to drink as well. We don’t want anyone to become dehydrated. It will be lots of fun and we hope to see many of you there!